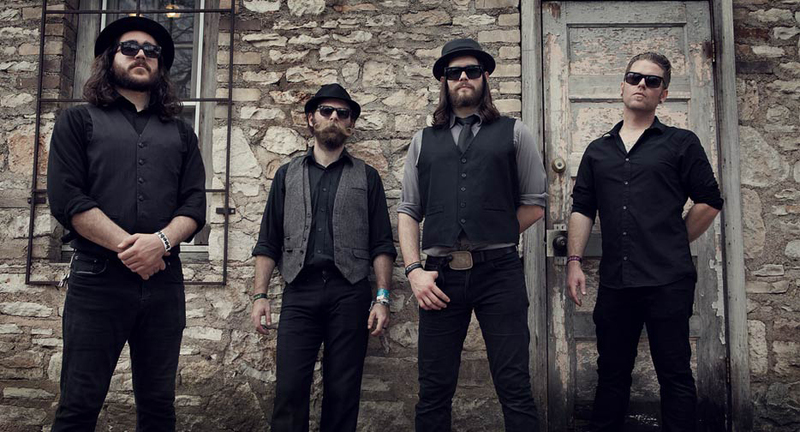 The Silent Comedy took to the road immediately after their first show and have continued to build on that tradition. The brothers' father was a preacher who sold everything the family owned to travel the world, an experience that shapes the lyrics and DIY ethic of the group. The band is made up of Joshua (bass/vocals) and Jeremiah Zimmerman (keys, vocals, guitar) together with their cousin Chad Lee (drums) and long time friend Justin Buchanan (mandolin/banjo). The band has roots in the craft beer and cocktail scene in California that have added to the rowdy reputation of live shows. What started as a loyal base of bartenders and beer brewers has grown to a community of dedicated fans all over the world.